The Opcode OMNI Game System. OMNI is *not an ColecoVision. In the near future, maybe around 2020, will there most likely be produced a new world novelty. The Name is: OMNI, OMNI means "everything” on Latin. But with OMNI Eduardo aren't only building one system. This is a completely new console that plays completely new games and not an FPGA. Audio and video chip were never used on a domestic console or computer before. See this project as an independent game console. For a ColecoVision console refers to Prometheus Lite, HB Vision or the CollectorVision Games Phoenix System. Eduardo Mello, the man behind Opcode Games, will from September 8th at Retro World Expo present us for the new super 8/16 bit cartridge based gaming systems. "With OMNI my motivation is to breath outside the CV scene." Truth is, the OMNI came from the aborted IntelliXpander. To be honest Eduardo at Opcode Games wasn’t never convinced about the IntelliXpander and therefore decided to withdraw. And when Intellivision announces they had a console in the makings, Opcode Games took the leap of faith and made it as a standalone console with a few more things added. In retrospect Opcode Games are glad they did, and In fact wonder why they didn’t have the courage to do that earlier. As for Prometheus, the ColecoVision compatible console, it didn’t make sense to have two “advanced” consoles available. So Opcode Games streamlined the Prometheus machine specifications to a light version. In the end it makes more sense, as that will reflect in the price. Opcode Games also want OMNI to be a celebration of the Atari era. Something that appeals to fans of Atari, Intellivision, Odyssey/Philips, Amiga etc. It isn’t a “generic” 8 bit console, Opcode Games have a clear audience in mind. Opcode Games are making a console that have hypothetically come a few years after the U.S. game crash. Opcode Games want to express those propositions from the games they release to the console’s design, to packaging. Finally, Opcode Games have a different focus in terms of game content, as you will hopefully see soon. Eduardo's first CV2 plan was just to merge the CV plus his newest Super Game Module into a new gaming console that can handle ColecoVision games. The first plan was to keep the original CV case, and just replace the PCB and the metallic front plate. 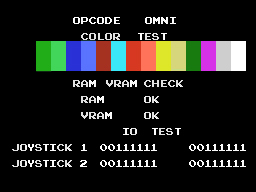 The new Opcode OMNI Game System is NOT a ColecoVision and will not support neither Steering wheel, Roller Controller and the Super Action Controllers. And that also applies to the Atari converter and the ADAM Family Computer System. Eduardo's philosophy behind the OMNI project is, to offer features, that can be used as a kind of options like a keyboard. But in this revision is there no internet connection, SD cards, HDMI or whatever, just old school. HDMI will be added to a newer revision. The new OMNI System is based on the mid-80s tech (1986) with dedicated chips. 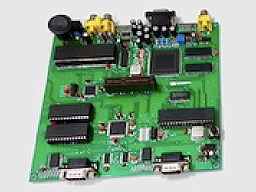 The showed board is a revision 1 version. 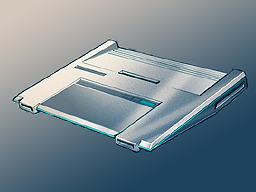 This is the first conceptual image of the upcoming OMNI console, by the famous video game designer Ted Mayer. Ted Mayer is responsible for designing OMNI console and Cartridge case. Ted is also working designing a custom controller, and will hopefully have something to show about that soon. If you are a fan of Atari era consoles and computers, you will be pleasantly surprised. CPU is a fast 8-bit at 8MHz, 32KB of RAM, Video and Sound chips use Video ROM and Sound ROM (inside the cartridge) while mapping is built-in inside the chips. OMNI resolution is 320x224, can display 3bits/pixel graphics, which translates to 7 colors per object. Colors on screen: 128 out of 4096 colors. 1 background plane and a foreground overlay plane, 64 sprites with 16 x 16 pixels. Moving objects: 64, up to 32x32 pixels. Sound: 8 voices, 3 x FM, 3 x Square wave and 2 x ADPCM for sound FX, speech, drums, or more realistic sampled stuff. Sampled playback and Stereo too. It is all dedicated chipset and at the same time very compact and efficient. The new OMNI can produce any sound you like, and can be sampled to, lets say very close to the original from a given game. That's very good for classic games like Wizard of Wor, DKA, Pengo, Bezerk, Moon Patrol and New Rally X. But also games like R-Type and Salamander will be very good upcoming titles with its sound. Opcode Games have hired an expert guy with years of experience in designing custom ASICs, and he is now creating OMNI's Audio/Video chip based on our specs. The beauty of having ASICs chips is that the developers can use them optionally. All Video and Sound "pattern" data is stored in the cartridge itself. OMNI will be designed by a very talented team in Brazil taking care of the hardware, but OMNI will be produced and assembled in China. Q: So what is this new upcoming OMNI Game System ? A: The new upcomimg Opcode OMNI Advanced Entertainment System from Opcode Games is an 8/16 bit gaming console with focus on the 8. Q: What about development for this OMNI ? A: Opcode Games are surely interested in 3rd party support and hope to have a licensing program at some point before launch. But Opcode Games also want the end user creating smaller things and having fun, so Opcode Games are working on that too, something that is easy to learn and doesn’t expose the hardware directly. Opcode Games aren't competing with Nintendo. 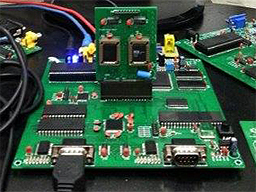 This is a "homebrew" project, and won't be selling at Walmart. This is a niche system, for a niche audience of Atari era enthusiasts. Other than Atari Flashbacks, the Atari era has been mostly forgotten. No Activision, Imagic etc IP properties are currently active franchises. The retro-gaming fever we see now is mostly Nintendo focused. Nintendo just managed to make people believe they literally created video games and what came before isn't worth even mentioning. 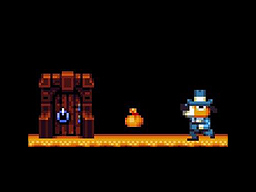 Oh, someone wants to make a retro-styled game? Easy, make it looks like a NES game, color palette and all, that is 8-bit by definition today. Very few brave souls venture into video game prehistory aka Atari era these days, that is the plan here. Opcode Games are trying to create an ecosystem that is more modern than the typical Atari era hardware, but still focus on the same content. Opcode Games is old school to the core: cartridges, no modern technology, no programable logic. This is a love letter to the Atari era, and if Opcode Games can get a few hundred systems in the hand of other fellow fans, they would be more than happy with that. OMNI could be released around 2020. Prometheus board REV 1A is arrived and tested, and will be shown at Retro World Expo September 8th to 9th 2018. The revised OMNI board will be presented at RWE together with 3 new games. Another Revision 2 board will be presented early next year. Regarcing the Cartridge connector: Is is not one large connector, it has been split into 2 parts. The cartridge shell format is similar to the ColecoVision cartridge, although pinout and PCBs are all different. OMNI Games status says: Moon Patrol, Zaxxon, Ninja Kun, K.C. Munchkin!, Attack of the Timelord!, Pick Axe Pete!, Quest of the Rings and 1942 is under development in different stages. Ed Averett will develop enhanced versions of some of his most popular 80's games for the upcoming Opcode OMNI console. Ed Averett, is the man responsible for most of the best selling and best known Odyssey2 / Philips games back then. Ed Averett has licensed Opcode Games many of his original Odyssey2 games and is supervising our work. Games will be updated in all areas, graphics will be vastly improved, they will get proper soundtrack, better sound FX and voices, and gameplay will receive many new elements and things. Opcode Games plans to offer 6 games when OMNI is finally released. Eduardo at Opcode Games always had a penchant for perfectionism, and working together with an world class designer makes all the difference in the world. 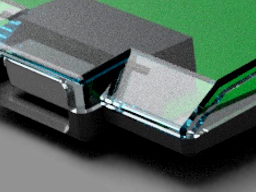 What you see above is a sneak peak of the case, actually what you see is a tiny corner of the case rendered with the top half using clear acrylic. That silver thing you see to the left is a Player 2 joystick port. The new OMNI Game System will accept all older corrected wired Joysticks. Note: The case above is only a prototype of the showing concept 2 higher up. The console case color hasn’t been decided yet, but it won’t be transparent for sure. "It Is a discrete chip based system, no emulated console." "Think of a Console released around 1984 to 1988 and you should get a good idea of the system capabilities." " We have partnership with some other well known developers to be announced in the future." " So stayed tuned for a bunch of news and releases later this year." The Opcode OMNI Game System is © 2016 - 2018 Opcode Games. Eduardo has published virtually all of the details you read and see above. The OMNI CPU, Graphics and Sound specifications is still secret so far, some can be removed and others can be added. Please note that this is only suggestions for what we can expect. Officially announced by: Eduardo Mello from 2010 to now, and reproduced by ColecoVision.dk from 2010 to 2018. *OMNI is not an ColecoVision, and therefore will the OMNI page not be updated after 2018. Instead, go to the SGM2/OMNI page. Support will instead go to HB Vision, Prometheus Lite and Phoenix Video Game System. Important: Please report errors so it can be corrected.